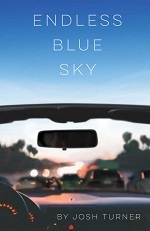 Endless Blue Sky is an irreverent take on family, the different ways we self-medicate and the limits of sunshine. Jeff Ashby is trying to get through each day. Between a dysfunctional workplace, antagonistic brother and strange girlfriend, he's not sure where to turn. Okay, never mind about the girlfriend. She's actually better than he deserves. Still, when is he going to take control of his life? It's unclear. Perhaps the universe will intervene. At once magical and searing, Medina's poetry chronicles the sweet, sad music of humanity. Here is a moving, innovative collection of poetry by a long-time writing instructor at Grossmont College, in San Diego. For lovers of poetry and poets themselves, Medina's risk-taking in both form and theme will be compelling. J. Medina was born in the Sierra Madre of Durango, Mexico and raised in San Diego, and engages his norteno background, along with his Chicano roots, to forge his poems. An English Professor at Grossmont College, he has been offering Reading and Composition classes for as long as the wind has been blowing. Last Days in Ocean Beach is the story of William, a scientist working at the Center for Extinction Studies, a think tank at the College of the Sun funded by a green billionaire. William lives "on the border between dread and wonder" as he desperately works to raise the alarm about climate change and its dire consequences to an apathetic public, learns to live with grief, and hold on to love. Along the way, we meet the residents of his wonderfully shabby apartment complex in Ocean Beach - bikers, hippies, skate punks, adventure tourists, reggae singers, aimless young professionals, Iraq War veterans, decadent retirees, a hospice nurse, and a Buddhist monk, all of whom are searching for something, looking to live more fully. Last Days in Ocean Beach is a blues song moaning and rocking the beach party at the end of the world. 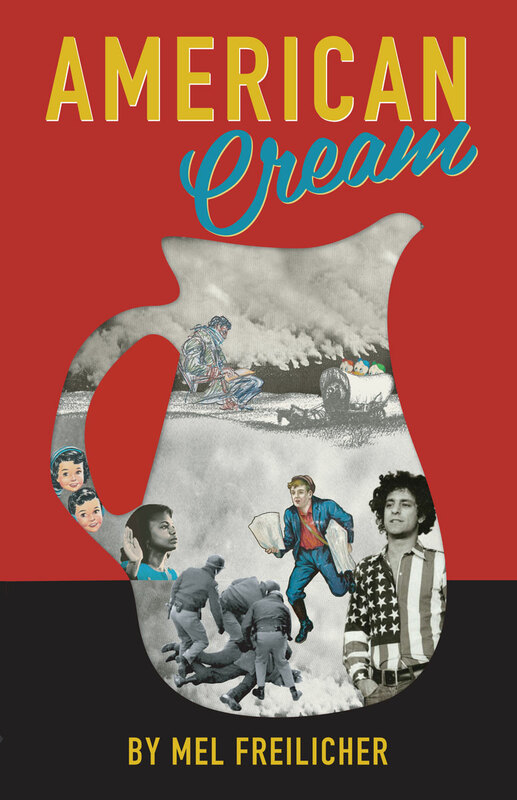 American Cream marks the third book in acclaimed San Diego author Mel Freilicher's trilogy of avant garde experimental historical fiction (his other two books, The Unmaking of Americans: 7 Lives; and The Encyclopedia of Rebels are also on City Works Press). This book will appeal to readers who gravitate towards literature. Reclaiming Our Stories: Narratives of Identity, Resilience and Empowerment gathers 19 powerful narratives written by members of the Reclaiming Our Stories Community Writers Workshop located in Southeast San Diego. These authors took great risk bringing these narratives to fruition, stories that pulsate with the kind of vitality that can only be constructed out of pain, love, and outrage. These authors, almost all of them emerging, reached deeply into their lives to excavate these offerings that, in the end, rise in triumph. Although it wasn't the intention of the project, most authors chose to write about some of the most traumatic events in their lives. In many cases, we find in these pages brutal reflections of ugly and painful realities confronted by these authors, often from a young age, and often the result of systemic racism and the consequences manifested by a society in which many do not have equal opportunity to thrive. 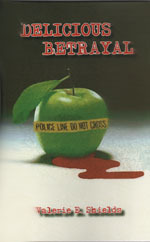 These are stories of children who have suffered incredible trauma and who do not receive adequate and immediate assistance; of young people who have drowned their pain through the abuse of alcohol and drugs; of those who grew up in environments where the only role models were gang members and hustlers; of a criminal "justice" system that has, as Michelle Alexander reported in her groundbreaking book, The New Jim Crow: Mass Incarceration in the Age of Colorblindness: "More African Americans in prison, jail, on probation or parole than were enslaved in 1850, before the Civil War began"; of the human consequences of legal lynch codes, like the California Penal Code 182.5, that under their purview, allow people arrested, tried and convicted for offenses that everyone, including the district attorney, knows they did not commit; of homelessness; of immigrant families torn asunder by unfair immigration practices; of broken families. These authors counter dominant narratives that attempt to label or mislabel their experiences and worth. Institutional forces often gargantuan in their reach and influence to subjugate or pacify. In this anthology, however, readers will find narratives that reclaim and recast both a reality and future forged on their own terms. In the end, if we believe that humanity's greatest wisdom has been transported and preserved via the ancient tradition of storytelling, looking forward, it is the indomitable truthsayers that will continue to save us from ourselves-examples of such found in these pages. These narratives exemplify the healing that occurs when the courageous work of introspection confronts the merciless blank page and emerges victorious. Like the first edition of Sunshine/Noir this anthology presents the reader with a wide range of contemporary San Diego writers of fiction and nonfiction alike as well as poets, artists and photographers. 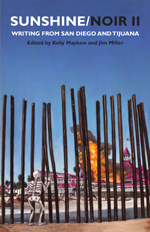 It explores San Diego and Tijuana’s border culture; San Diego’s multiple identities and lost history; the city’s natural beauty and endangered ecologies; its role as a center of the culture of war; and San Diego writers’ attempts to explore the meaning of place. By using a multicultural, multidisciplinary, pan-artistic approach, this anthology offers the reader a fresh look at a city yet to be explored in such a fashion. 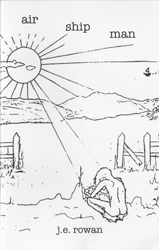 Sunshine/Noir II is not comprehensive, but rather stands only as a place marker in the continuing exploration of literary San Diego that leaves many borders yet to be crossed. This anthology includes many acclaimed and award-winning poets and writers as well as emerging authors. Just steps away from sponsored fun runs, endurance challenges, and ultra-marathons, in Tamara Johnson’s Not Far From Normal, San Diego's hidden residents play games of survival side-by-side with official city events. However one feels about the rise of dark tourism, it has never been necessary to travel far to experience either the dangerous or the exotic. Part poetry, part photo essay, part field guide, Tamara Johnson’s Not Far From Normal tells the secret history of San Diego’s parks and missions as told by their current inhabitants. 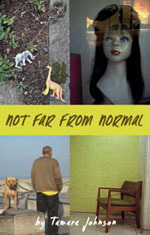 From the crash of PSA Flight#182 to the “I don’t like Mondays” school shooting and other dark episodes that don’t make it into San Diego’s official story, Not Far From Normal is a compelling history of everyday life on the wild side of Southern California. In The Encyclopedia of Rebels, Mel Freilicher continues his lifelong engagement with the intersections between history, fantasy, and memoir. The narrator throughout is a college teacher and community activist struggling against despair. With the help of radical heroes, famous and obscure, who devoted their lives to fighting tyranny, he rises to the call of irony. You could call this book both an outrageous comedy and a credible look at the world we live in. 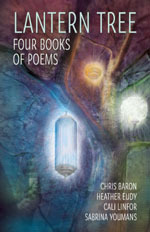 Lantern Tree: Four Books of Poems is a luminous collaboration that explores life's spaces­­––the lanterns of relation, journey, spirit, desire, loss, and home. At once disparate and entangled, the voices found here are those of Chris Baron in Under the Broom Tree, Heather Eudy in Bills of Lading, Cali Linfor in A Book of Ugly Things, and Sabrina Youmans in Pacific Standard Time. The lantern tree acknowledges that many hands are needed to assemble the possibility of light. But, of course, each book is a thing of its own, hangs a light of its own, makes and unmakes a home of its own. To read these poems is to be transported and rooted within shadow and light. Wounded Border / Frontera Herida contains cutting-edge research and analysis of the important issues emerging from the U.S.-Mexico Border region today. Taking a bi-national and bilingual approach, Wounded Border / Frontera Herida captures the multiple voices and experiences of scholars, researchers, and community-based activists residing on both sides of the international boundary. 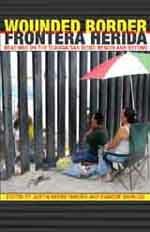 Wounded Border / Frontera Herida offers a unique and essential narrative from a region that both intertwines and divides nations and peoples. 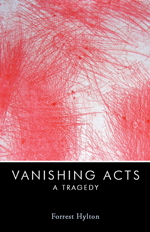 Vanishing Acts traces the arc of descent of a young American anthropologist, Richard Melville, as he tries to navigate the shifting currents of intrigue and seduction churning around him in Medellin, Colombia - a tropical city of frightening beauty and violence. Ignoring the advice of Baston, his paranoid informant and would-be guardian angel, Richard pursues Maria Isabel, a beautiful yet elusive student activist, into a labyrinth of danger and desire. This award-winning novel is published with dialogue in its original Spanish with an English translation version at the back. In this lively and engrossing collection, these texts explore all aspects of parenthood from the first stirrings of desire for a baby to the bittersweet experience of watching your children go off into the world without you. In poetry, fiction and essays, the writers examine the primal and powerful bond of love between parent and child. Writers share their most intimate experiences of motherhood and fatherhood. 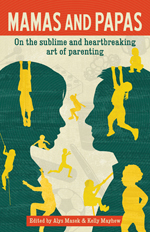 The book celebrates the satisfaction and joy that parenthood offers. Yet it does not shy away from the dark side of parenting. Writers offer up eloquent and honest testimonies to their anger, frustrations, doubts and failures as parents. Pieces range from the laugh out loud funny stories of Sam Apple's foray into a Mommy and Me yoga class with his son and Neal Pollack's adventures with his son's initial attempts at texting, to Wanda Coleman's stark poetry of poverty and Ella Wilson's quietly devastating account of her brush with post-partum depression. The contributors survey everything from the emotional toll of IVF to the perils and rewards of international adoption. Welcome to the wild and wonderful world of parenting. 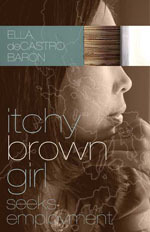 Itchy Brown Girl Seeks Employment is an ironic Curriculum Vitae where life and work experiences one wouldn't want a potential employer to know are highlighted using vulnerability, wit, observation, and candor. Ella deCastro Baron—a first generation Asian American woman challenged by her parents' faith, inherited sickness, and questionable life choices—shares of beginning and ending relationships, restlessness, miracles, prejudice, entitlement, and community. She leaves it up to the reader to decide, after assessing her background, education, professional experience, fieldwork, high (and low) achievements, if she is someone worth investing in. This anthology initiates us into one of the most sacred domestic rituals of our mundane world—the purging of physical and psychic stains, or the art and work of doing laundry. The writers' voices rise above the sounds of washing machines, non-televised daytime dramas, and laughter. Removing the clothespins from their mouths, these women reveal their secrets, fears, loves, and regrets in poem and story form. 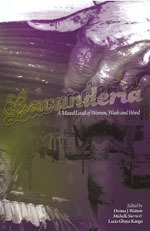 As finely detailed as the vintage sleeve of a rummage sale find, the work in "Lavanderia" brings the circle closer to home as you find yourself nodding and remembering and thanking every woman who ever sat next to you in a laundromat and made conversation. 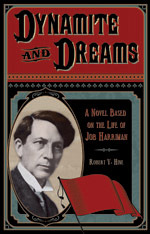 This novel is based on the life of Job Harriman, a well-known free speech lawyer and, in 1911, the socialist candidate for mayor in Los Angeles. It is a fictional account of life in the utopian, turn-of-the-century Llano del Rio Cooperative Colony north of L.A., which Harriman helped to establish in 1914. 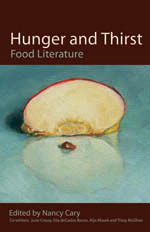 More than eighty contributors offer up unique views of food and drink, what we hunger for, what pains us or sustains us, what brings us joy as individuals, as family, as culture. This collection of poetry, fiction, non-fiction, and art invites you to sit at the collective table we share as the human community. Peeping Tom Tom Girl is the first collection of poetry by Marisela Norte, the incredible and audacious spoken word poet from Los Angeles. 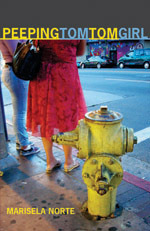 Winner of San Diego City Works Press's Ben Reitman Award, this collection of Norte's poems takes her readers on fantastic journeys into the heart and soul of what it means to be Chicana, human, a woman in 21st Century Southern California. 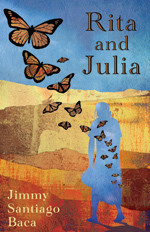 Rita and Julia is an extraordinary collection of poetry that takes the reader from the depths of despair through outrage to transcendent joy. In these searingly intense poems, Baca inhabits the subjects of his poems and makes them sing. Long before maquiladoras and transnational migrations, there were pampinos who worked mines owned by American companies in Latin America. Their lives are inspirations, their toils directions of where the spirit can survive. 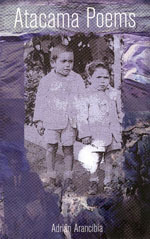 Atacama Poems offers reminders of the importance of fulfilling dreams and remembering those who made them possible. A multi-generational family album, where voices carry like echoes. 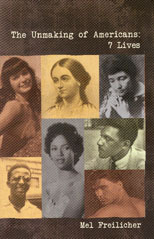 Dorthy Dandridge, Bettie Page, Joey Stefano, Margaret Fuller, Margaret Sanger, Bayard Rustin, Billy Stayhorn. 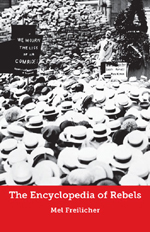 The Unmaking of Americans: 7 Lives sketches an accurate outline of these admirable, complex, and in some cases, tragic lives as they have been depicted by their principle biographers. 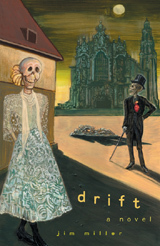 A new novel by City Works Press co-founder Jim Miller on University of Oklahoma Press with art by San Diego Writers Collective members Perry Vasquez and Jennifer Cost. Kowit is one of the best-known poets in San Diego with an enormous following. The poems are based on the ancient amatory poems of India written in Sanskrit. Art--drawings, portraits, and sketches --accompany the poems throughout the text. 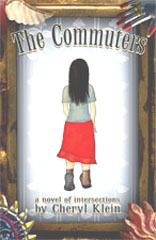 The Commuters is a novel composed of intersecting stories about people who live in Los Angeles. From an immigrant garment worker, struggling to exist in an often cruel city, to a lonely foster child, who uses arson to express himself, Klein's novel delicately and deftly probes the inner lives of her compelling cast of characters. 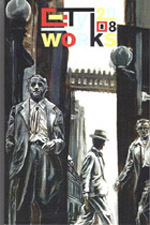 Since 1994, City Works has been publishing the poetry, fiction, prose, and artwork of City College students along with the work of local and national writers and artists. De-li-cious: 1. Latin, from delicere; To entice away. 2. A variety of apple having sweet fruit.
" ... in this moment of true nakedness you experience a strange absence of fear. And it is its absence that scares you ..."
They say that he was the greatest who ever lived, that he played that thing with such ferocious passion that grown men on sailing ships in the Gulf leaped overboard, sad for Storyville. A surreal rant. Vox Saxaphonos is Dada poetry for the postmodern age. Luis Omar Lopez has written "The Love Song of J. Alfred Prufrock" like T.S. Eliot in the midst of a psychotic break. Copyright 2015 City Works Press. All rights reserved.